Simple Home Energy Saving Tips. In these tough economic times it helps to save money wherever you can, the easier the home energy saving tips the better. Here are a few simple energy saving tips that you can use to easily save money on your electricity bills. 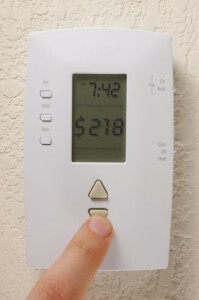 Adjusting Your Thermostat – Setting your air conditioner 5° higher can save you up to 20% on cooling costs. Most Retail Electric Providers recommend setting your air conditioner at 82°. Adjusting Your Water Heater – Turn your water heater down to 120° or the “normal” setting when home, and to the lowest setting when you will be away from your home for a few days. Your water heater can account for about 13% of your home energy costs. Be Smart About Lighting – Turn off unnecessary lighting and use task or desktop lights with fluorescents or LED bulbs instead of overhead lights. Buy Energy Efficient Appliances – Always buy ENERGY STAR qualified appliances and equipment – they can be up to 40% more efficient than their counterparts. 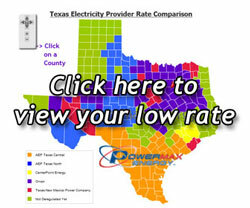 Deregulation – Take advantage of electricity deregulation, if available in your area. Most electricity deregulation providers, like PowerMax Energy in conjunction with Champion Energy can save you between 10-40% off your electric bill. Find and Seal Leaks – Sealing cracks, gaps, leaks and adding insulation can save up to 20% on home heating and cooling costs. Test for air leaks by holding a lit incense stick next to windows, doors, electrical boxes, plumbing fixtures, electrical outlets, ceiling fixtures, attic hatches and other locations where there is a possible air path to the outside. If the smoke stream travels horizontally, you have located an air leak that may need caulking, sealing or weather stripping. Keeping Cool With Ceiling Fans – Reduce your air conditioning costs by using ceiling fans, keeping windows and doors shut and closing blinds during the day. Most ceiling fans use less energy than a single light bulb. Loading Up Your Dishwasher – Run your dishwasher and clothes washer only when they are fully loaded. Fewer loads will reduce your energy and water use. Maintaining Your Clothes Dryer – Make sure your clothes dryer’s outside vent is clear and clean by cleaning out the lint filter after every load. When you are shopping for a new dryer look for one with a moisture sensor that will automatically shut off the dryer when your clothes are dry. Powering Down Your Computer – Enable the “power management” option on all your computers and make sure to turn them off at night. Did you know a laptop computer uses up to 90% less energy than desktop models? Replacing Light Bulbs – Replacing incandescent light bulbs with fluorescent light bulbs or LED bulbs can save you 75% off lighting costs. Unplugging Electronics – Unplug electronics, battery chargers and other equipment when not in use. These small pieces of electronics can cumulatively use as much power as your refrigerator. Washing Clothes in Cold Water – When possible wash clothes in cold water. About 90% of the energy used in a clothes washer goes to water heating. Improve Your Insulation – Most U.S. homes should have between R-22 and R-49 insulation in the attic. Insulating ceilings, walls, attics, floors, crawl spaces and basements to recommended standards can reduce heating and cooling costs by 5% to 25%. Add insulation if your attic contains less than 7” of fiberglass or 6” of cellulose insulation. Maintaining Your Cooling System – Having your air conditioning unit serviced can cut 15% of your cooling costs. Programmable Thermostat – Install an ENERGY STAR qualified programmable thermostat – This can save up to $150 and pays for itself in less than 12 months. Make sure to install the thermostat away from natural cool and hot spots. Sealing Your Ducts – Having your heating and cooling ducts professionally sealed can save you up to $190 per year. 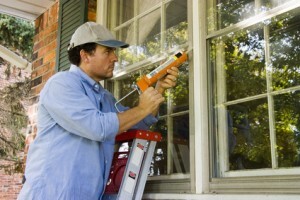 Adding weather stripping around windows and doors will reduce drafts. Seal large gaps with expanding foam. Using caulk to seal around ducts, plumbing and any other openings in walls, floors and ceilings will help to reduce air leakage. Upgrade Your Heating System – Replacing heating equipment that is more than 15 years old with new ENERGY STAR qualified models will save you money. An ENERGY STAR qualified boiler extracts more heat from the same amount of fuel, to be 10% more efficient than a new standard model. An ENERGY STAR qualified electric heat pump is 20% more efficient and can save you about $130 annually. Old furnaces cost more to operate per year than new, ENERGY STAR qualified models that are 15% more efficient than standard models. Windows – Consider replacing single-pane windows with double-pane windows that are gas-filled with high performance glass. ENERGY STAR qualified windows can help reduce your heating and cooling costs by up to 15%.